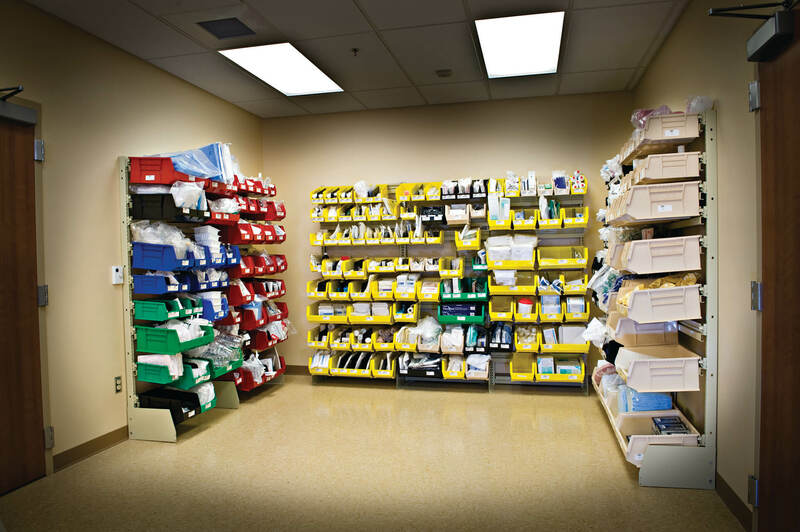 Modular bin storage systems have been successful at organizing a variety of spaces. Though we see it used mainly in the pharmacy or healthcare industry, it has also been utilized in IT departments, retail spaces, industrial maintenance rooms and more. 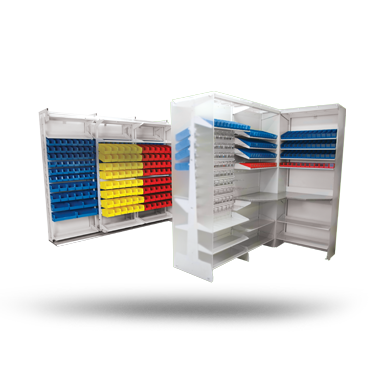 The system offers ultimate flexibility and accessibility to color-coded bins making organization easier than ever. 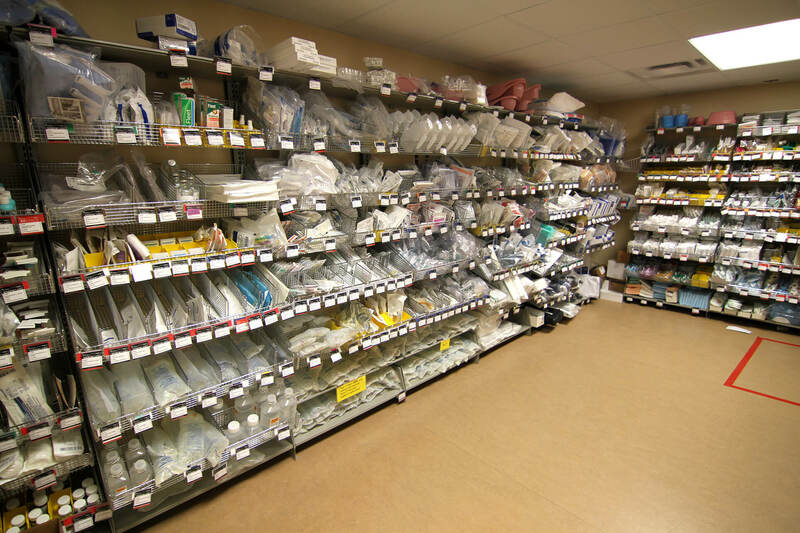 Modular bin storage has the ability to reconfigure with very little effort, making it a great solution for many businesses that are in constant flux. 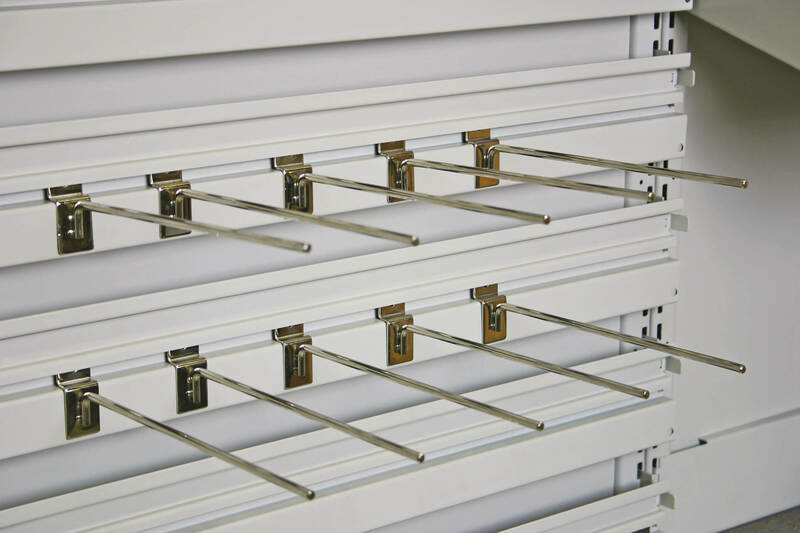 Modular bin storage known as FrameWRX is comprised of a basic frame, a unique rail system, and a host of components such as bins and shelves that hang on a horizontal rail. 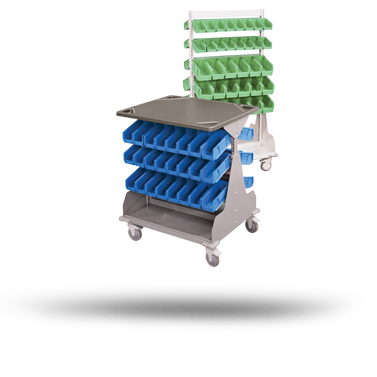 Bin shelving was designed to maximize the number of standard-sized plastic bins that can hang on a rail. 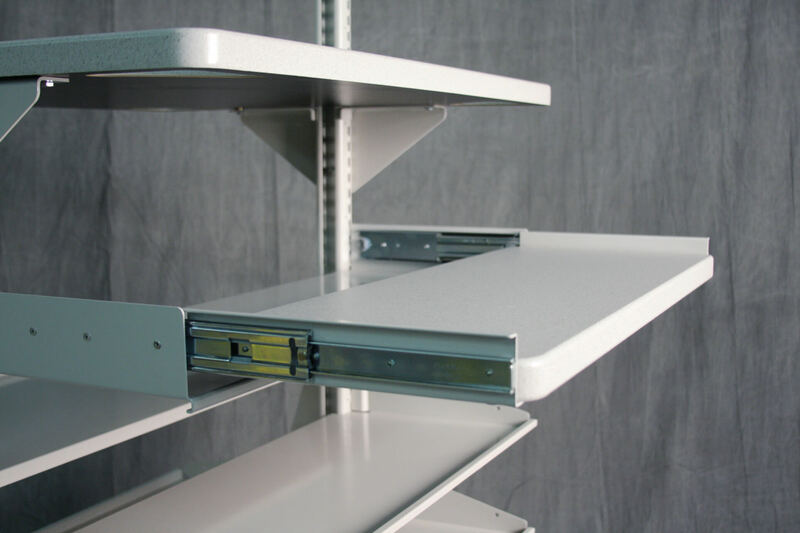 Rails can be adjusted by hand and onsite to accommodate horizontal or sloped storage. 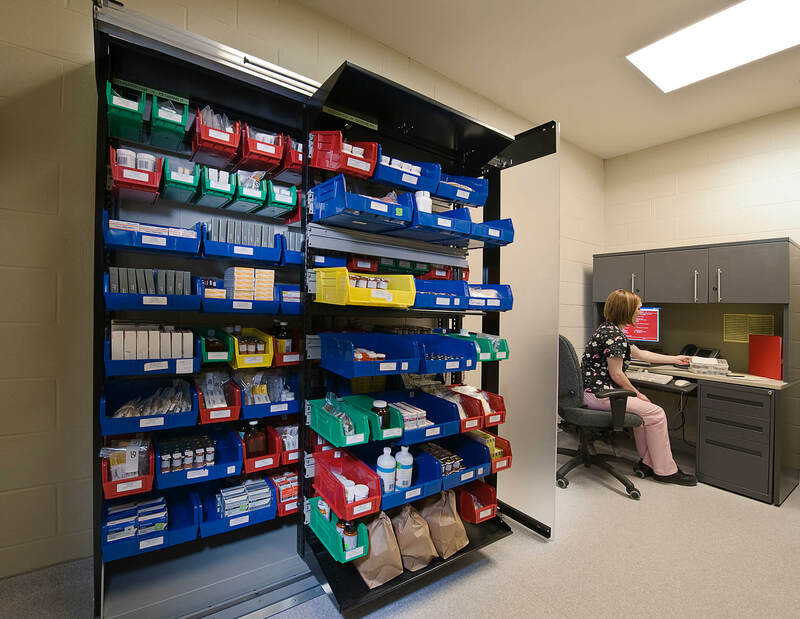 At anytime, you can upgrade your FrameWRX modular bin storage to a high-density option or for additional on-the-go supply storage, a supply cart. 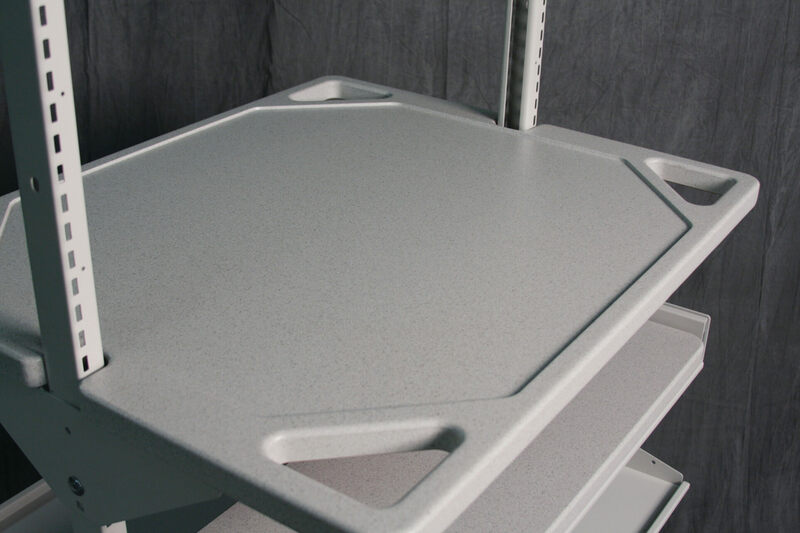 All of the flexibility in our FrameWRX modular bin storage systems is available in a transportable supply cart. 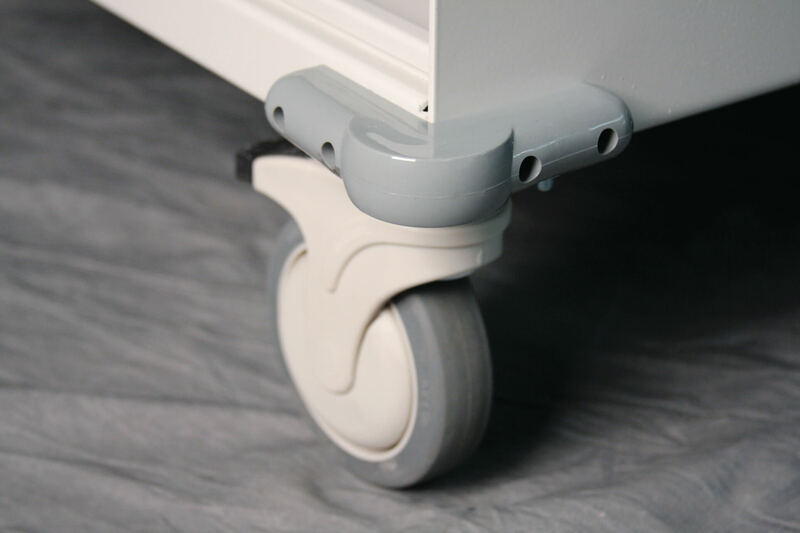 Traditional supply carts typically have very limited availability in size and dimensions, whereas WRX Wheels can be custom ordered to fit any space dimensions desired. 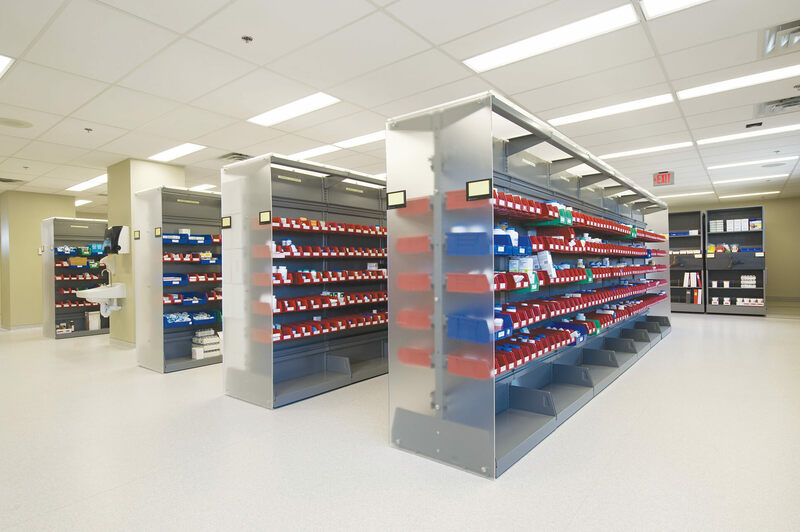 Interested in learning more about FrameWRX Modular Bin Storage?